by Rob - June 8th, 2016. Three years ago, on June 8, 2012, I lost my brother Alan Sawyer, an Emmy Award-winning multimedia producer and broadcasting policy analyst, to lung cancer. On this past Saturday, June 4, 2016, I was in Banff, Alberta, for the first time since Alan passed. 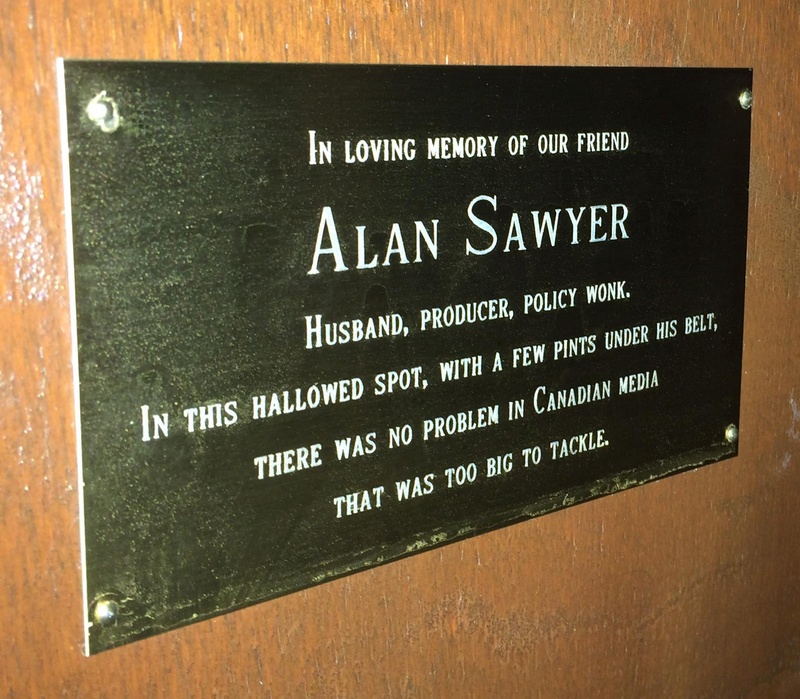 Alan was a regular at the Banff World Media Festival, and in the St. James Gate pub there, there’s a plaque put up by his friends in honour of him. I made the pilgrimage to see it; the hostess at the bar bought the drinks for my table after she found out why I was there. In this hallowed spot, with a few pints under his belt, there was no problem in Canadian media that was too big to tackle.